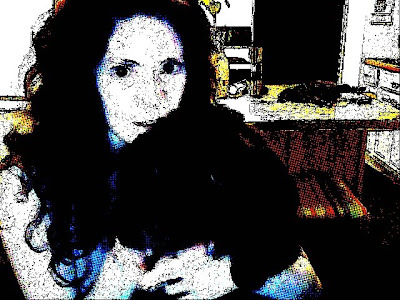 I was goofing around with Photo Booth on my Mac last night and took these pictures of me and Louis as Comic Book characters. 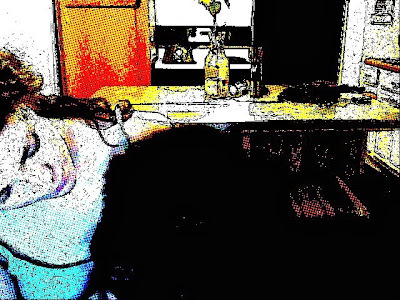 My black puppy doesn't show up very well, but I still thought they were fun pictures. 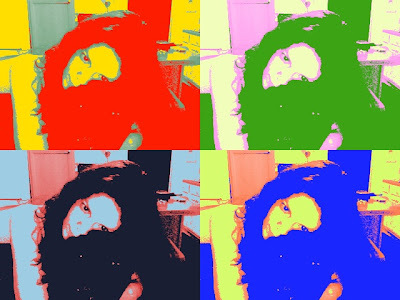 Plus a little pop art thrown in for good measure. When you shop at Amazon.com please click on the above logo to do your shopping. You will be supporting LWB, an organization that provides many orphans in China much needed surgery, food, education and love. 5 years old - Happy Birthday! What are the Goals for Puppy Socialization? How Do I Get My Puppy to Stop Being Afraid of Things? How Do I Gently Teach My Puppy I am Pack Leader? How Do I Keep My Dog's Nails Short Without Hurting Them? What Kind of Training Treats are Yummy, Healthy & Cheap? How Do I Decide on a Dog Training Method?